Merry Christmas everyone!! 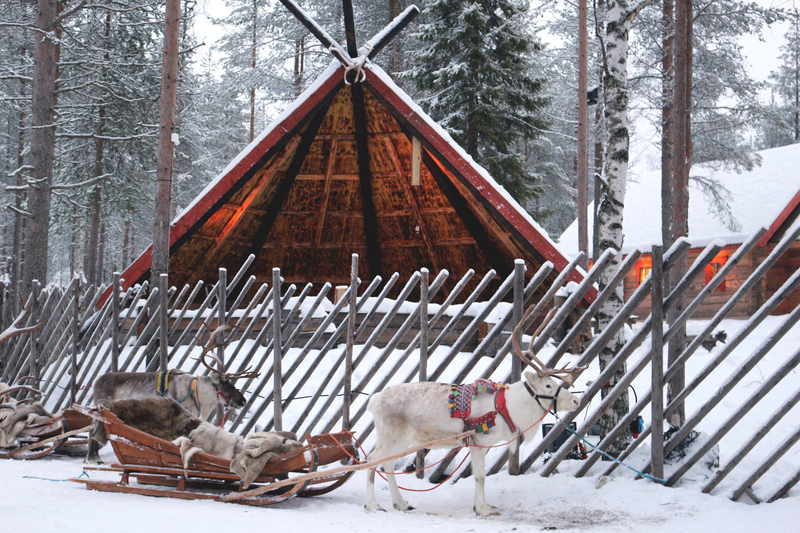 Just in time for this holiday I decided to share with you my trip to Lapland and my visit to Santa Claus’ village in Rovaniemi, Finland! I went there in the beginning of December and couldn’t wait to show you how magical and christmas-y this place was! I met the real Santa Claus together with my friends, sent a few postcards from the official Santa Claus post office, where I also saw thousands of letters from all over the world addressed to Santa! Also, I had the great opportunity to see reindeers!! Such cute and peaceful animals! Just in the middle of the village you can actually cross the Arctic Circle, so imagine how north this place is. Of course, you can always go more north but from now on up to February there wouldn’t be any daylight at all. But the plus is that you’ll always have the chance to see the Northern lights! I was lucky to see them even in Helsinki but unfortunately during my trip to Lapland the weather was too cloudy and foggy.. Anyways, I had a great time and definitely recommend stopping by and meeting Santa if you’re wondering what to do next Christmas holiday! I hope this year we go.